Max Routledge is a 28 year old Show Jumper based in Surrey. Max originally combined his Show Jumping with playing Professional Polo. Max played in the High Goal for 7 years with great success, winning the Queens Cup and being runner up twice in the Gold Cup. He also represented England on many occasions both here in the UK and overseas, winning the European Championships and World Cup on Snow in China. Jumping has always been Max’s passion and he was lucky to get some invaluable experience even when he was combining it with playing Polo. Max produced his top stallion Typhoon S from a 4 year old and won multiple Grand Prix’s on him in the UK. Max also produced several other horses to top level before going into Jumping full time. Max's first full time year Show Jumping was in 2015 for. He had the ride on the Grand Prix horse Carus Royale with whom he has had great success. Max was also sent some really fantastic younger horses from other owners. He has now been able to build up a string of seriously quality horses belonging to both himself and his owners and has had some wins at International Grand Prix's. He is now working towards building up a string of horses to be able to compete against the best of the best at 5 star shows! If you are interested in getting involved as an Owner or a Sponsor please do not hesitate to get in touch! 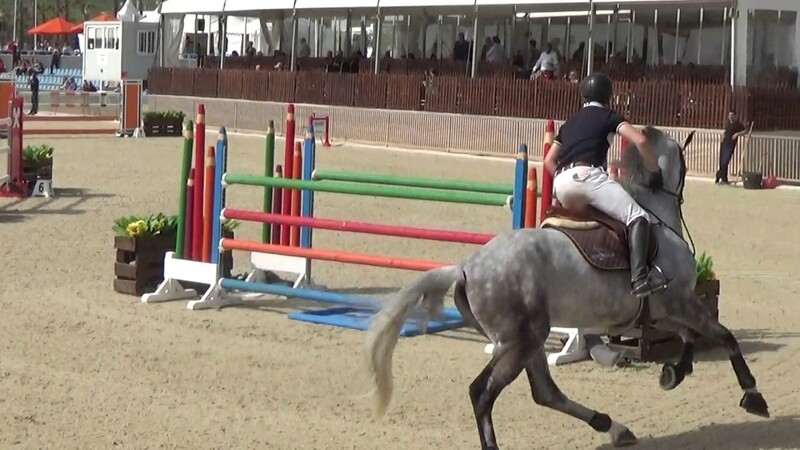 Max has a quality selection of horses that he competes; he is always keen to take on exciting new horses. Max’s team are the ones who make it possible for him to compete and run his business so successfully. He is proud to be surrounded by such great people. Here you can find some of Max’s notable results to date. Warriors Glory has been sold to Home Farm Show Jumping, good luck to Spencer Golding and Lisa Cubbitt with this fantastic horse! Firkov Du Rouet has been sold to the fantastic Eric Lamaze, we wish them every success together!